In the HOT Math series we publish a number of Hands-On Tasks for Mathematics. The practical activities link mathematics to other school subjects or to students’ experiences. Students’ age group: ± 12-14 yrs. No lesson plans are offered, as each idea will need adaptation to class level. The students discover and learn to discover. Mathematics is not merely reproducing, but actively producing. The manipulative materials in this HOT Math series are learners’ materials and not demonstration aids for the teachers. 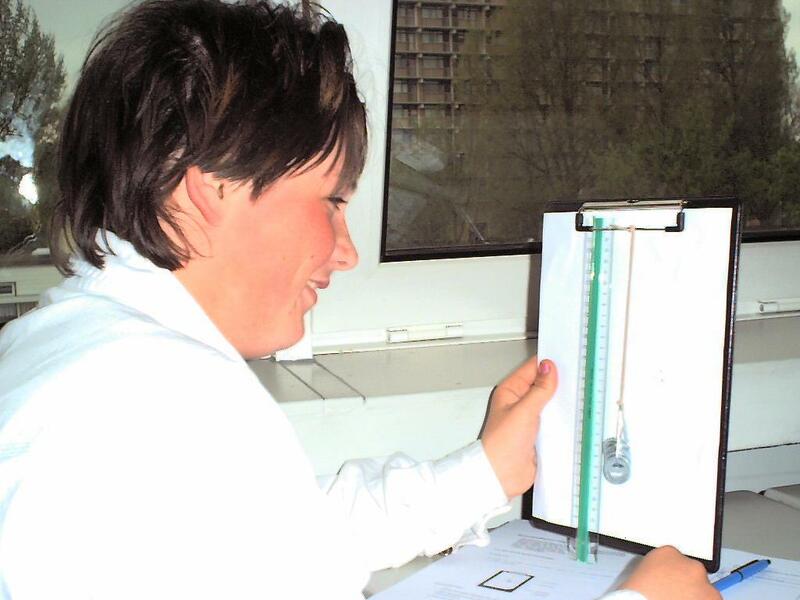 In this activity students will investigate how a rubber band stretches linearily (physics). Clipboard, a paper clip, a cut rubberband, a white sheet, 30 cm ruler, graphing paper, 10 big washers (bought at a hardware store). – Find out how the rubberband stretches further with each washer. – Predict how much further the rubber band will stretch with more washers than available. – Discuss how the starting point (zero washers) can be measured in different ways and how this will affect the ensuing measurements. – How will the measurements be if we reduce the rubber band to half its length? as a start some students will need to be supplied with a table to fill.